Berries are both colorful and healthful. 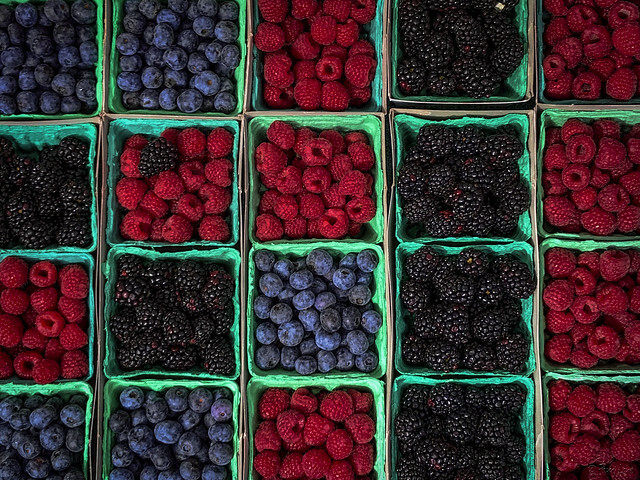 These blueberries, raspberries, and blackberries at the farmers market look beautiful and taste even better! "I love berries. Strawberries, blueberries, raspberrites, blackberries, anything with an 'errie' in it!"